When shopping for software to develop your e-Learning content, it is important to get the right tool for the job. Today we’re looking at Articulate Storyline and what its strengths and weaknesses are in comparison to competing tools like Articulate Studio, Adobe Captivate, and Lectora Inspire. 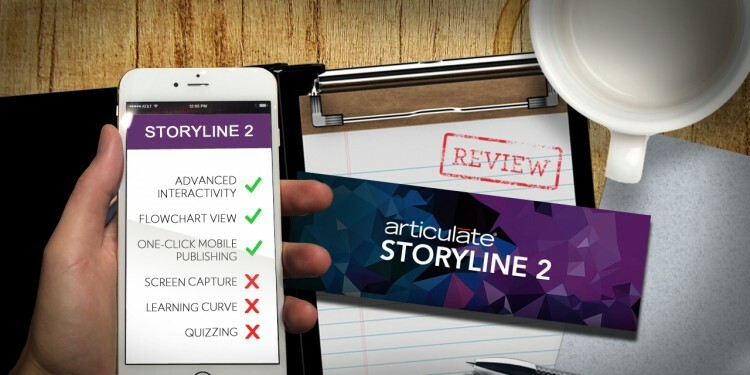 Having worked with all of these, I have found Storyline to be a robust platform with particular strengths in advanced interactivity, animation and mobile publishing. Articulate Storyline is a full-featured e-Learning authoring software. Not to be confused with Articulate Studio, which is a more limited, PowerPoint-based program by the same company. 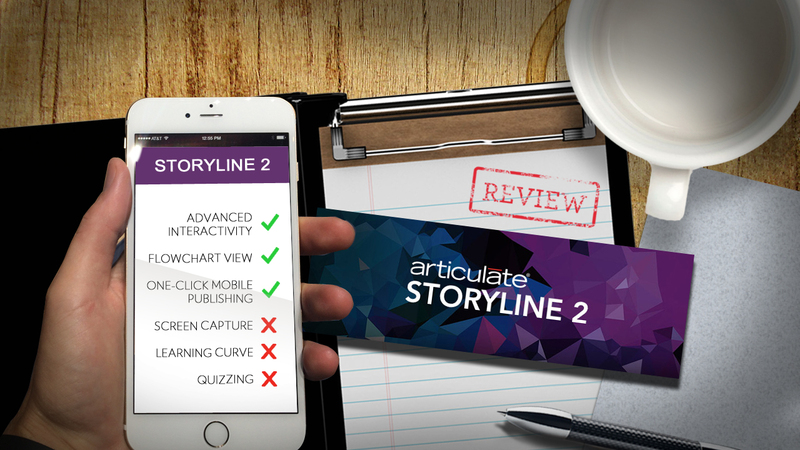 Like most e-Learning software platforms, Storyline’s interface is slide-based. With Storyline, like Adobe Captivate but unlike Lectora and Articulate Studio, each slide has its own “timeline,” where you set the appearance and timing of events and animations on that slide. It is important to state that almost all the platforms can help you create effective learning, but each have their strengths. So what are Storyline’s strengths and in what areas do other tools come out stronger? Advanced Interactivity – Articulate has a few unique features not found in any of the other platforms. One of these is the slider button, where users can drag a button along a slider, which can be used as a scale type interaction, triggering real time feedback in relation to the slider’s position. Other unique features are the ability to animate an object along a path and its freeform hotspot tool with which you can customize hotspot button shapes. In other programs your transparent button shapes are restricted to squares or circles. Flowchart View – Storyline has the option to see your whole project in “Story View” which is a flowchart view of all the slides and how they relate to each other. Slides can be moved around and reorganized in this view. For a program with a lot of branching, it can be handy. One-click mobile publishing – The publish settings for Storyline are the easiest among the platforms. It allows publishing for mobile and web all at once. It has an option to bundle its own Articulate Mobile Player for either iOS or Android instead of assuming those platforms will just use a browser to view HTML5 content. Along with this feature is the option to allow downloading for offline viewing. Screen Capture – While Storyline has an adequate screen recording option that creates a video, Adobe Captivate is stronger in this area. For example, in Captivate you can edit the cursor’s movements after the recording is complete. Learning Curve –Storyline will take some time to master, especially if you have never worked with a timeline palette. But once mastered, it is a powerful platform. Articulate Studio is easier to learn since it works from within PowerPoint, but it doesn’t have the power or flexibility of Storyline . Quizzing – While Storyline’s quizzing has plenty of options and flexibility, Lectora has more built-in variables and actions. If your interactions or quizzes are complicated or you want to customize their logic, you might want to closely compare Lectora with Storyline. If you have the time and money, it is hard to go wrong with Articulate Storyline. However, if your e-Learning has some unique needs, like custom logic-based quizzing or elaborate screen capture, you might want to compare it closely with Lectora and Captivate, respectively.